Computational Complexity: Why are there so few intemediary problems in Complexity? In Computability? Why are there so few intemediary problems in Complexity? In Computability? This is a question of Philosophy and hence not interesting. This is a question of Philosophy and hence very interesting. By Murphy's law there will be many problems that we can't solve quickly. At least in complexity theory there are SOME candidates for intermediary sets. that it was COMPLETE!!!!!!!!! My confidence inspired him to prove it was complete. intermediary problems in Complexity, and NONE in computability theory? Is there some other kind of reason? - The exponential gap between unary and binary encoding length. 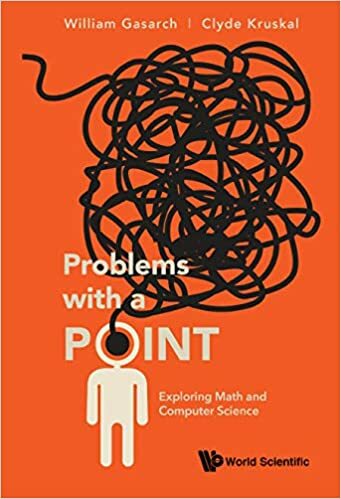 One class of natural problems typically ignored when intermediate problems are discussed is based on NP-complete problems with pseudo-polynomial time algorithms like Subset-Sum. All you need is a bound on the sizes of integers that allows them to be bigger than polynomial but less than exponential. Requiring that the bounds on the sizes of the integers be either polynomial or exponential, which forcing encoding to be unary or binary does, could be considered artificial for such problems. - dichotomy theorems for constraint satisfaction. CSPs are a very natural way to describe many problems and are given many different names. This is very much a mathematical way of saying that intermediate problems of certain types do not exist. Obviously we have hit the "right" way of determining the complexity of "natural" computational problems! Could I ask what the following stand for? If by "c.e.-complete" you are considering completeness under many-one reductions, then there is one very natural (IMHO) intermediate problem, namely the set of Kolmogorov-compressible strings. Unfortunately, this single example does not apply to Turing reductions! Should We Have a TCS Ethics Board? Leslie Lamport wins Turing Award!